We found 10 episodes of Thinking Religion with the tag “old testament”. Episode 141: Could Jesus Read and Write? Dr. Thomas Whitley and the Rev. 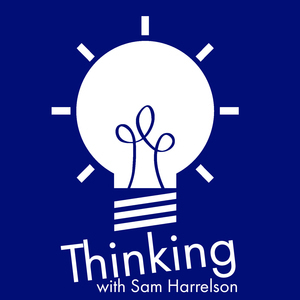 Sam Harrelson discuss British trivia shows, the concept of literacy in the ancient world, what accent Jesus might have had, and whether we now have historical proof of the prophet Isaiah. Dr. Thomas Whitley and the Rev. Sam Harrelson discuss the Bomb Cyclone, The Myth of Progress, The Apotheosis of Captain Cook, Lectionaries and conflating Gospels, and the need for a new political dialogue in our country. Dr. Thomas Whitley and the Rev. Sam Harrelson discuss Black Friday, gaming, moral questions, Evangelical strawmen, and complicity. Episode 130: Jesus, Mary, and Joseph! Dr. Thomas Whitley and the Rev. Sam Harrelson are joined by Prof. Chris Frilingos to discuss his book "Jesus, Mary, and Joseph: Family Trouble in the Infancy Gospels" and why the Infancy Gospel of Thomas and Proto-Gospel of James are so important for contemporary audiences. Dr. Thomas Whitley and Rev. Sam Harrelson discuss the rental economy and answer listener questions. Dr. Thomas Whitley and Rev. Sam Harrelson are joined again by David Ray Allen Jr. to cover the Final Four of the Bible Bracket Challenge. It gets bloody this week. Dr. Thomas Whitley and Rev. Sam Harrelson are joined by David Ray Allen to discuss football schedules and the third round of the Bible Bracket Challenge to determine which book is the "best" book in the Bible and which book is the "Michigan" book in the Bible. Dr. Thomas Whitley and Rev. Sam Harrelson discuss the uncomfortableness of whataboutism and its interplay with American Christianity and continue the Bible Bracket Challenge semifinals. Dr. Thomas Whitley and Rev. Sam Harrelson discuss the benefit of doubting Trump's America, Evangelicals carrying water for Trump, whether Joshua is a good book to include in the Bible, and why Jude deserves some reconsideration.